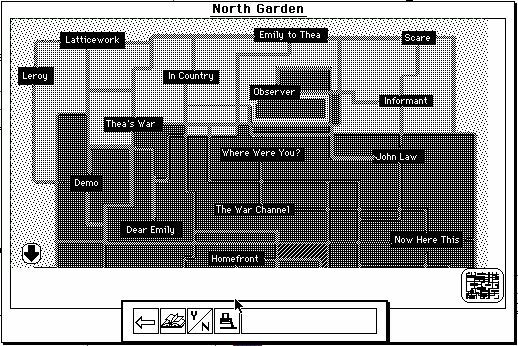 Victory Garden is a hypertext novel which is set during the Gulf War, in 1991. The story centres on Emily Runbird and the lives and interactions of the people connected with her life. Although Emily is a central figure to the story and networked lives of the characters, there is no one character who could be classed as the protagonist. 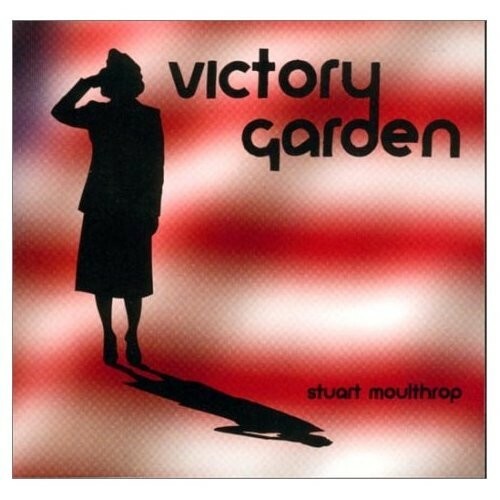 Each character in Victory Garden lends their own sense of perspective to the story and all characters are linked through a series of bridges and connections. There is no set "end" to the story. Rather there are multiple nodes that provide a sense of closure for the reader. In one such "ending", Emily appears to die. However, in another "ending", she comes home safe from the war. How the story plays out depends on the choices the reader makes during their navigation of the text. The passage of time is uncertain as the reader can find nodes that focus on the present, flashbacks or even dreams and the nodes are frequently presented in a non-linear fashion. The choices the reader makes can lead them to focus on individual characters, meaning that while there are a series of characters in the story the characters focused on can change with each reading, or a particular place. Upon entering the work the reader is presented with a series of choices as to how to navigate the story. The reader may enter the text through a variety of means: the map of the 'garden', the lists of paths, or by the composition of a sentence. Each of these paths guides the reader though fragmented pieces of the story (in the form of node) and by reading and rereading many different paths the reader receives different perspectives of the different characters.